Here you can see what looks like clouds here on earth, but is gas out in deep space. 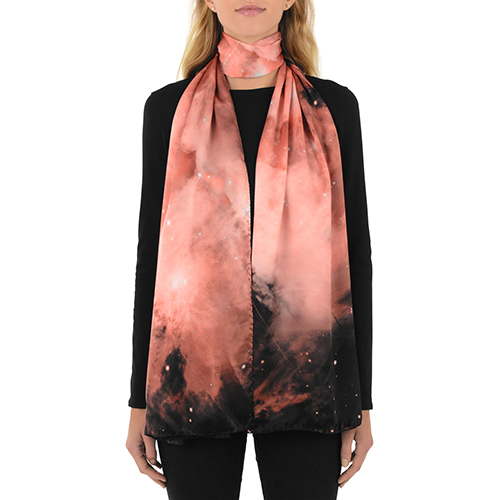 It makes for a stunningly beautiful scarf that is both familiar yet also utterly unexpected. The world's leading astrophotographer, Adam Block, makes nature look "pure and simple" like this, yet it represents massive investments of time, technology and learned expertise.